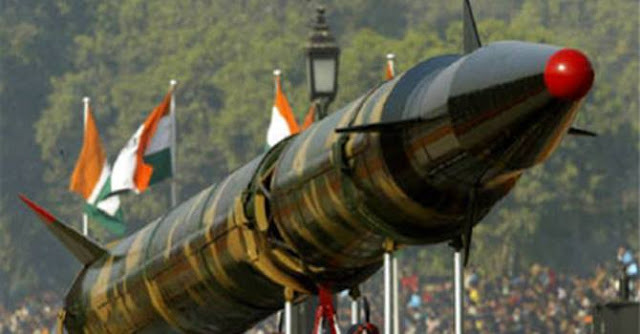 Dr Avinash Chander has revealed that one of his key mandates as the head of the country’s military research complex, is to drastically reduce the time India will take for a potential nuclear counter-strike. “In the second strike capability, the most important thing is how fast we can react. We are working on cannisterised systems that can launch from anywhere at anytime,” said Dr Chander. “We are making much more agile, fast-reacting, stable missiles so response can be within minutes.” India has a no first use policy for nuclear weapons, and its current response time for a retaliatory strike is classified. The DRDO chief’s task is to whittle it down by a substantial degree to provide the Strategic Forces Command (SFC) with a literally ‘anywhere-anytime’ ability. India’s current land-based nuclear weapon delivery systems include the 1,250-km range Agni-I, 2,000-km range Agni-II and 3,500-km range Agni-III. The DRDO chief has expressed confidence that 2 of India’s two most ambitious nuclear missiles under test, the 4,000-km range Agni-IV and 6,000+ km range Agni-V, will both be inducted into the strategic arsenal within two years. “We’ll induct the Agni IV and V inducted in the next two years. It’s the first time we will be inducting strategic missiles with such long ranges together. Agni III, IV and V are going to be the thrust areas. They give us the reach which we need, and are our highest priority now. Within two years we have to make sure that it happens,” said Dr Chander. Asked about whether India needed an inter-continental ballistic missile (ICBM), with ranges in excess of 10,000-km like China’s DF-31 and other in-development weapons, Dr Chander said his missile laboratories could develop and deploy an ICBM in as little as three-five years. “As we see today, we don’t find the need for ranges more than 5,000-6,000 km. The technology building blocks required to build a longer range missile already exist. We are in a position to activate any such system at very short notice,” said Dr Chander. Asked about how India’s missile programme squared off against China’s, he said, “Comparisons are odious, always difficult, and many times taken out of context. If you see at the capability level, our missiles, radars are comparable with the Chinese and other friends around us.